Americans love their hamburgers. But they don't just want an average slab of meat with ketchup and mustard. These days Americans are looking for the most uniquely prepared and, of course, most delicious burgers that money can buy. Conceptually speaking, the hamburger is a pretty simple concoction. But over the past several years Americans have taken it upon themselves to create more and more elaborate burgers. But it can be difficult to determine what makes a great burger since everyone's tastes are different. Nevertheless, there are some restaurants in the United States where just about everyone who has a burger there can agree that it is among the best they have ever had. PYT is a Philadelphia-area restaurant that serves an amazingly unique burger that has bacon, goat cheese, and a thin slice of coffee cake on it. They also serve a generously topped burger that uses two slices of deep-fried lasagna instead of a traditional bun. In the small town of Superior, Wisconsin, one of the most pópular items on the menu at the Anchor Bar is a burger topped with onions, Swiss cheese, and cashew nuts. While it may seem like a somewhat mindless endeavor to create a specialty burger, finding good flavor combinations is actually a bit challenging. The Thruman Cafe in Thurman, Ohio features the Thurman Burger. Part of the Thurman's claim to fame is its size - over three-quarters of a pound of ground chuck topped with a half pound of sliced ham, jalapeno slices, and melted mozzerella. And then there is the Superburger at Jim-Denny'0s in Sacramento, California. At first glance it doesn't look like anything special but locals and visitors alike have raved about this burger gem since the 1930s. When it comes to the independent local burger joints in America, no two burgers are exactly alike. Even when two people at the same restaurant order the same burger, often times the chef will vary each one up just a little bit whether purposely or not. 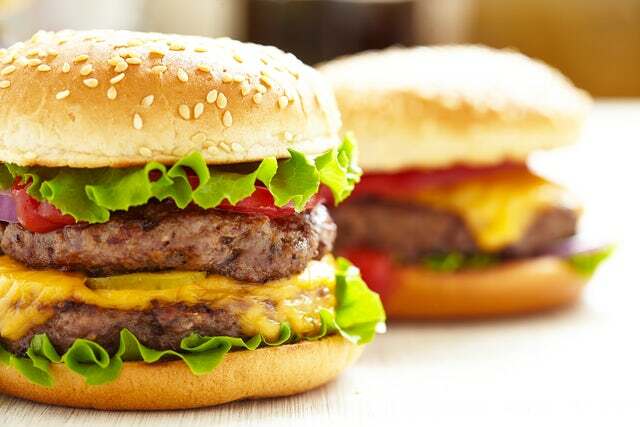 But if you are a hamburger fan and you are travelling around these great United States, it is well worth your while to check out some of the local burger restaurants and see what they have in store for burger lovers like you.